Warning: Zeph Daniel's "Lamb" is a novel that will capture you the very second you start reading. No, not just because it is a breathtaking tale that will take you around the world, and into bizarre situations. Even though it is a first-class thriller full of spectacular events and interesting personalities. And no, not just because a part of the story takes place in the Carrib and has Rastas involved. Even though it's a detail that can't be overlooked and causes a smile of spiritual recognition that will be confirmed throughout the book. In over 400 pages, the author takes us straight to the battlefield of the war between good and evil. We'll meet angels in disguise, working undercover by helping out the "lambs": those that are rejected by society but protected by His Majesty, JAH. "Lamb" starts with a lot of dead bodies. They turn out to be sacrifices to the forces of evil, slaughtered, like innocent lambs. The sacrifices are performed by powerful people in satanic rituals, intended to delay the second coming of the King of Kings: Jesus Christ, the Ultimate Lamb Who will return as the Lion and break the power of evil.These powerful people are the ones that run society, and on the outside they look like philanthropists and idealists working to make the world a better place. But when they're in their inner circle, their true nature is revealed. As the story progresses, the battle is getting hotter too. Supernatural events, natural disasters, psy-op's and the occult are revealed to be more than related. Hollywood, Churchianity, secret societies and agencies are all connected as well. The climax in the end, which won't be revealed here, contains a serious warning for each and everyone of us: prepare for the second coming of Jesus, for nothing will stop Him from returning! But no, this is not your average "Christian alternative" to Stephen King. In fact, we'll see how the "Christian Church" plays it's part of the side of evil, while persecuting those on the good side. And unlike Stephen King, Zeph Daniel is much more than a skillful story-teller because this is a story wrapped around the-way-things-really-are! Those who are truly born again in Jesus, are usually found in the gutter, in prison, in strange mental hospitals. Or working for a semi-super famous band that runs on speed and cokane. Or living under terrible conditions in the Carrib. "Lamb" is fiction, but rather impossible to read without being touched in some way. When you love the truth, you will find some things to be rather revealing, especially when you might think Jesus Christ is all about $atan and $lavery. Zeph Daniel describes people and situations in such a way, that it becomes clear what the real Jesus Christ is all about: putting an end to evil and uplifting those that suffer under Babylon System! And that is the strongest aspect of this book. A book that should be read by those who (think they) are "Christian". A book that should also be read by those who (think they) know all about "Christianity"! 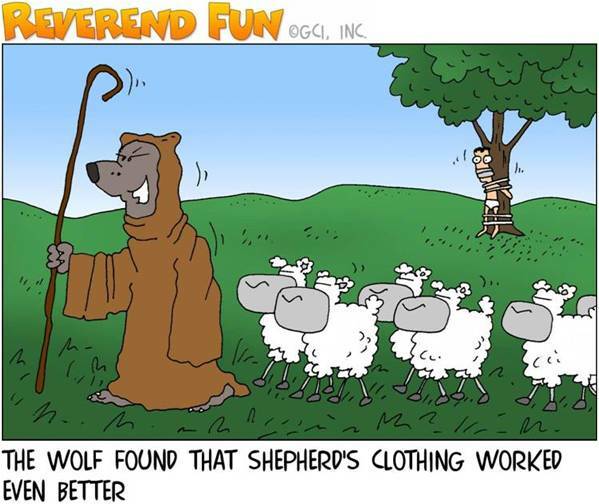 WWW, January 2011 - It does not matter that the bible clearly states that "no man knows just exactly when the things will happen that are prophesied in the book, here we have a "pastor" that leads the sheep away from simply faith in Jesus Christ. 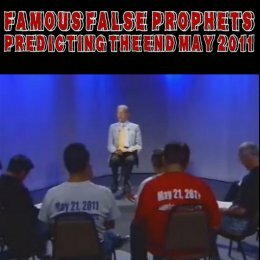 He tries to make people believe that the rapture and subsequent destruction of creation will take place in the period from May to October in this year, that is 2011. There are always groups and individuals who claim the end of the world on a certain date, obviously they've all become exposed later but not after they did indeed fool sometimes masses into selling their goods and wait for the pye in the sky.